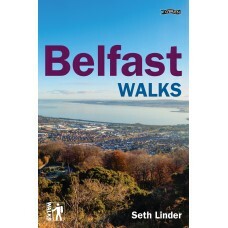 Belfast and the surrounding countryside have so much to offer, and are waiting to be explored! Hike through wooded glades and past plunging waterfalls, or stroll through the Titanic Quarter and hear about the city’s industrial history. Take the Van Morrison walk through the singer’s native East Belfast, or follow in the footsteps of football legend George Best and Narnia creator C.S. Lewis. See the famous republican and loyalist murals, or enjoy the spectacular view from Cave Hill.